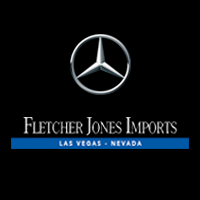 Contact Fletcher Jones Imports Las Vegas today for information on dozens of vehicles like this 2019 Mercedes-Benz GLE AMG® GLE 63 S. This Mercedes-Benz includes: 3-ZONE AUTOMATIC CLIMATE CONTROL Multi-Zone A/C A/C Climate Control Rear A/C BLACK PIANO LACQUER TRIM DESIGNO BLACK DINAMICA HEADLINER PREMIUM 3 PACKAGE Lane Departure Warning Lane Keeping Assist Brake Assist Adaptive Cruise Control Blind Spot Monitor Cross-Traffic Alert SOFT CLOSE DOORS AMG® PERFORMANCE EXHAUST REAR SEAT ENTERTAINMENT PRE-WIRING WHEELS: 21 AMG® CROSS-SPOKE (STD) Aluminum Wheels *Note - For third party subscriptions or services, please contact the dealer for more information. * Want more room? Want more style? This Mercedes-Benz GLE is the vehicle for you. There's a level of quality and refinement in this Mercedes-Benz GLE that you won't find in your average vehicle. Enjoy the comfort and safety of this AWD Mercedes-Benz GLE AMG® GLE 63 S equipped with many standard features found on other vehicles as optional equipment. This 2019 Mercedes-Benz GLE AMG® GLE 63 S is proudly offered by Fletcher Jones Imports Las Vegas This Mercedes-Benz includes: MULTICONTOUR FRONT SEATS W/MASSAGE FEATURE Seat-Massage Power Passenger Seat Power Driver Seat AIR BALANCE 3-ZONE AUTOMATIC CLIMATE CONTROL Multi-Zone A/C A/C Climate Control Rear A/C BRUSHED ALUMINUM RUNNING BOARDS Running Boards/Side Steps DESIGNO BLACK DINAMICA HEADLINER PREMIUM 3 PACKAGE Lane Departure Warning Lane Keeping Assist Brake Assist Adaptive Cruise Control Blind Spot Monitor Cross-Traffic Alert HEATED REAR SEATS Heated Rear Seat(s) TRAILER HITCH Tow Hitch AMG® PERFORMANCE EXHAUST POWER TILT/SLIDING PANORAMA SUNROOF Panoramic Roof Power Windows Generic Sun/Moonroof Sun/Moonroof Dual Moonroof REAR SEAT ENTERTAINMENT PRE-WIRING AMG® CARBON FIBER/BLACK PIANO LACQUER TRIM WHEELS: 21 AMG® CROSS-SPOKE (STD) Aluminum Wheels *Note - For third party subscriptions or services, please contact the dealer for more information. * Want more room? Want more style? This Mercedes-Benz GLE is the vehicle for you. Pull up in the vehicle and the valet will want to parked on the front row. This Mercedes-Benz GLE is the vehicle others dream to own. Don't miss your chance to make it your new ride. This AWD-equipped vehicle handles well in any weather condition or terrain. You'll benefit from superb handling, improved steering and excellent acceleration. Why Buy a New Mercedes-Benz GLE from FJ Imports in Las Vegas? Our selection gives you the full scope of Mercedes-Benz GLE specs and features. According to Edmunds, no matter the trim or body style, “you’ll be impressed by the GLE’s beautifully constructed interior.” Judge it for yourself! Browse our current luxury SUV lease specials for great rates and terms on a new GLE. Then, schedule a test drive near Spring Valley and Paradise!